Addison Mizner was the mastermind behind the original design of The Cloister. 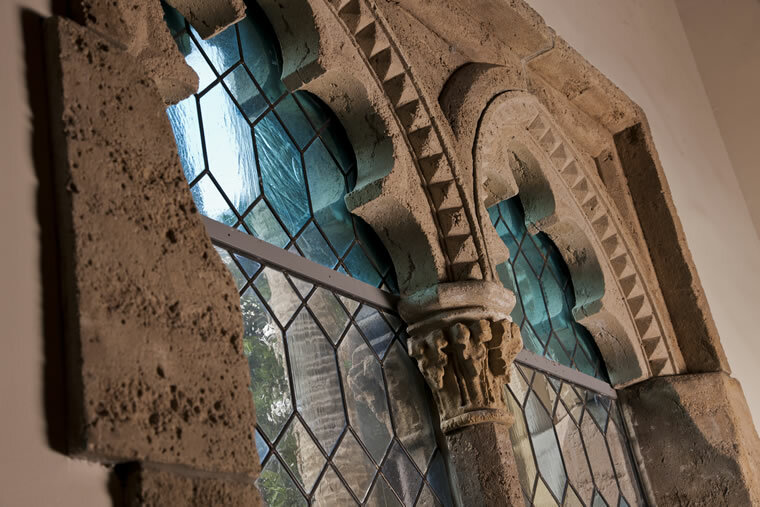 Ninety years ago, Addison Mizner crafted The Cloister and solidified his legacy in the South. 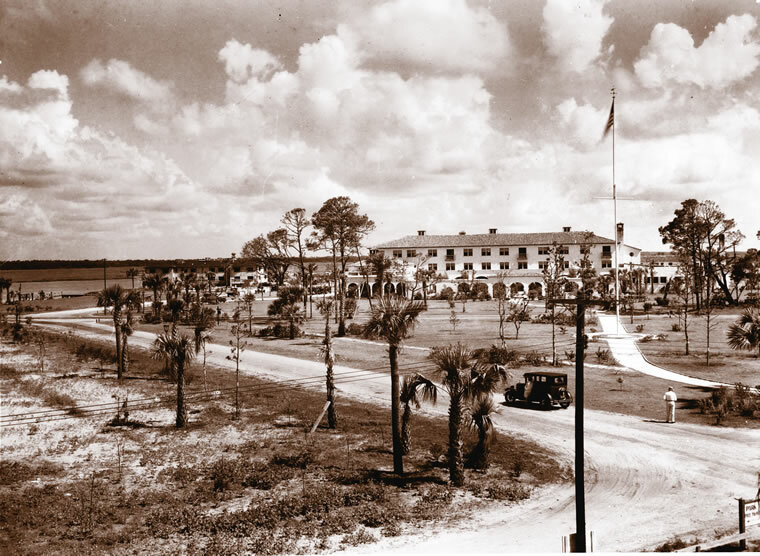 With its red tile roof, soaring arches, grand lobby and lush patios, The Cloister hotel at Sea Island brought Mediterranean Revival architecture to the Georgia coast upon its construction in 1928. This distinctive style would then go on to inspire similar designs throughout the area. Addison Mizner, one of the most famous architects of the 1920s, was the mastermind behind the influential structure. Mizner had previously designed resorts in Florida and mansions for wealthy patrons across the United States. When the founders of Sea Island approached him about creating a “friendly little hotel,” he brought his iconic style to the Golden Isles. Imagine a Jazz Age dinner party: Guests are sipping their Prohibition-era cocktails, smoking cigars and discussing the latest society news. Mizner would have been at the head of the table—perhaps with his pet spider monkey on his shoulder. “He was a great dinner guest,” says Fred Eckel, who the Boca Raton Historical Society regards as an authority on Mizner. “He was good at telling stories, and in Palm Beach that was an asset.” Mizner was known as a social architect, meaning that he got most of his work through building connections with patrons via socializing. Mizner lived all over the world. Born in California, he later went to study at the National Institute in Guatemala City, becoming fluent in Spanish. He would go on to travel to China and Europe in his youth. Later, he struck off to Alaska in search of gold. Eventually he landed in New York where he served as an apprentice for a local architecture firm. Although he never had any formal training in that industry, his work with architectural firms in New York and California gave him plenty of on-the-job experience. Already well into his 40s, Mizner moved to Florida in 1918 and quickly made a name for himself with his first commission, the Everglades Club in Boca Raton. His talent and charm soon helped him land other prominent jobs. Drawing upon inspiration from his time in Guatemala and his other world travels, Florida is where Mizner honed his unique Mediterranean Revival style. In the 1920s, Florida was booming and real estate developers and prospectors took advantage of cheap land, easy credit and a growing roadway network to create resorts, subdivisions and posh homes. Florida experienced unprecedented growth and Mizner and his brother Wilson, who partnered together as the Mizner Development Corp., were in on the action. Mediterranean Revival became the preferred style. It felt warm, exotic and romantic, and became the new standard for coastal resort design. When Howard Coffin and A.W. Jones were dreaming up plans for Sea Island, they wanted to start small with a “friendly little hotel.” However, they didn’t want to compromise on design. Mizner was one of the hottest resort architects of the day, so Jones set off to Boca Raton to convince Mizner to design his hotel. Little did Jones know that Mizner’s company was about to go bankrupt. “The Great Depression came about three years early in Florida,” Eckel explains. “At least half the banks in Florida went bust.” Mizner found himself caught up in both Florida’s boom and bust. His latest project, the Cloister Inn in Boca Raton, Florida, was about to be taken away from him. Mizner suggested the name “Cloister” for the Sea Island project as the new owners of the Boca Raton hotel did not want to use it (it now exists as the Boca Raton Resort & Club). The 46-room, three-story inn opened in October 1928 and was fully representative of Mizner’s Mediterranean Revival style, with touches like the Spanish Lounge windows, red tile roof and the plethora of arches throughout the property. Mizner’s design ultimately carried through several renovations and additions and shaped the design approach of the entire resort. 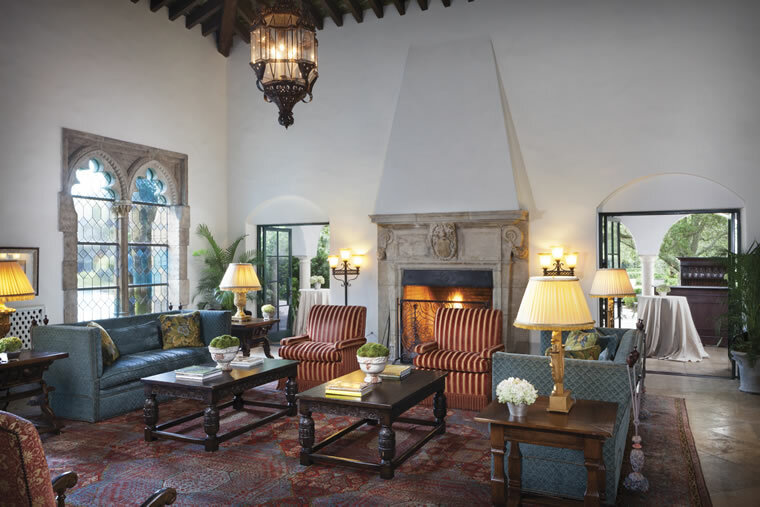 The Spanish Lounge boasts Addison Mizner’s Mediterranean Revival style. Mizner died in 1933 just as art deco was becoming the preferred style. Mediterranean Revival experienced its own renaissance in the 1970s, and Mizner’s work was rediscovered and celebrated by a new generation. Although the original Cloister building was decommissioned in 2003 and replaced with an updated version, Mizner’s initial design very much inspired the new building’s appearance. The original Spanish Lounge was carefully removed piece by piece and re-created in the new space—even down to the radiator covers. The soaring original windows remain. You will also find Mizner’s signature arches, patios and other features. Whatever changes may come to the resort, it’s clear that Mizner’s designs continue to have a lasting influence on Sea Island and beyond.